Want eggs? Meat? Dressings? Honey? Wood chips for smoking? Milk and ice cream? and so so so much more. If you haven’t discovered the EASY way to get farm fresh and local food into your kitchen, do it NOW. 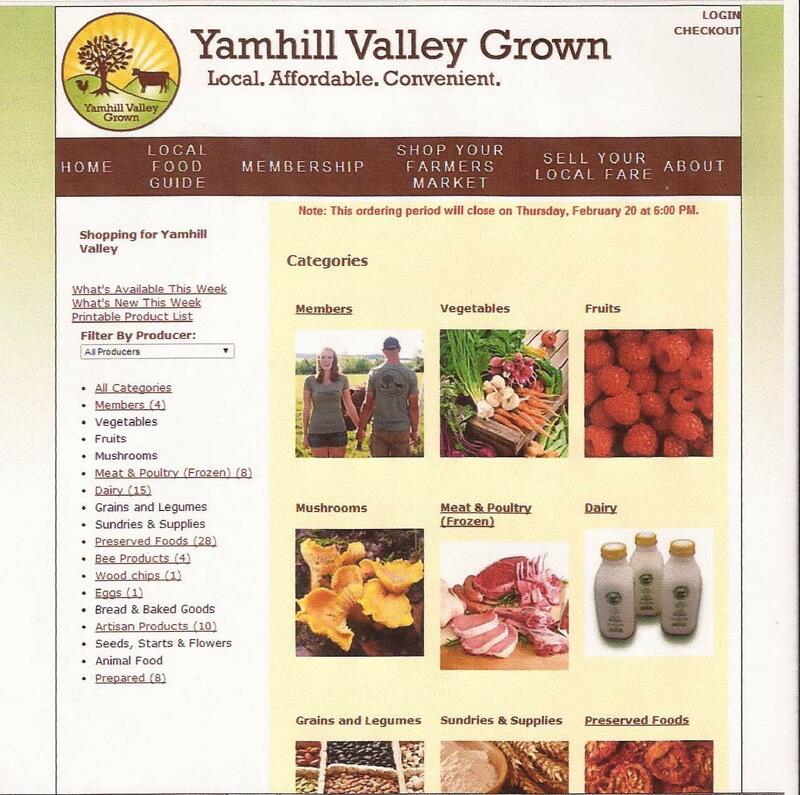 Go to Yamhill Valley Grown and place your order for delivery on Friday! This entry was posted in beef, chicken, dairy, eggs, health, heritage breed, Local food, local food stystem, marketing, milk, pork, protein, value added and tagged beef, cheese, chicken, consumer interest', dairy, eggs, home delivery, local economy, local farms, Local Food, snacks. Bookmark the permalink.